Most interesting might be the things they are most likely to question. First, I started my pre-history of recovery narrative in the postbellum rescue missions, rather than in the Washingtonian Movement of the 1840s. I placed a lot of weight on the secular implications of prevailing interpretations of mission testimonies, despite the fact that they had been preceded by an already secular movement a generation earlier. 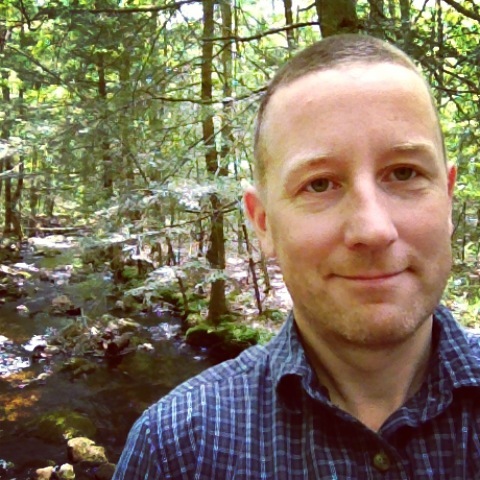 I did so because I found that the rescue mission stories were influential in mediating institutions — church homiletics, progressive reform, academic psychology, realist literature — which in turn informed the redemptive ideals and the storytelling styles more broadly associated with recovery in the 20th century. In other words, the rescue missions provided a master narrative of modern addiction storytelling. Second, my attempt to understand the A.A. recovery story as a cultural artifact of New Deal-era liberalism might strike some as either too broad to be interesting or too specific to be defensible. For starters, one must accept a definition of “liberalism” broad enough to encompass a foundational concept of the social self — in line with a longstanding practice among theorists (and critics) of liberalism through each of its historical phases. My A.A. chapter showed how the Big Book’s stories of individual redemption envisioned the alcoholic in the same way FDR envisioned the nation and John Dewey envisioned frontier individualism — as models of self-interest whose failures were now wholly exposed by a “hitting bottom” experience that, at the same time, revealed a path toward a new, cooperative kind of self-interest. In subsequent chapters I showed that while A.A. remained successfully free from political associations, the kind of public recovery story it helped birth – in memoirs and films and in institutional approaches to addiction – neatly exhibited both the ideals of the liberal era and their ultimate fragmentation in the face of elements such as consumerism, social injustice, and reactionary conservatism. Lastly, I think historians might be alternately intrigued and frustrated by my treatment of a narrative form as a primary object of historical analysis. Instead of treating each text simply as evidence of its author’s experiences or intentions, I dwell at length on particular texts whose narratives displayed the “architecture” of the redemptive story especially well, whether by example, by exception, or, most compellingly, via literary adaptation. I love the elite-street partnerships that made the rescue missions and their literature possible. I have a particular fondness for Jerry and Maria McAuley and their relationship with Helen Stuart Campbell. The McAuleys were illiterate immigrants, an ex-thief and ex-prostitute living in a common law marriage, but they secured the patronage of high-status New Yorkers to fund their evangelical social work among the tenements of their own waterfront Manhattan neighborhood. They embraced uptown New Yorkers’ Protestant religious commitments but not at the expense of protecting the dignity of their own and their fellow slumdwellers’ class, ethnic, and gender identities. The McAuleys’ wisdom and dynamism undermined Campbell’s and others’ elite assumptions about the poor and the possibility of dramatic, positive change. Jerry McAuley (1839-1884), Maria (McAuley) Gilbert (d. 1919), Helen Stuart Campbell (1839-1918). Campbell should be as well known as her colleague Jane Addams and her protégé Charlotte Perkins Gilman. Campbell was a prolific novelist, reporter, theorist, and activist. She was an extraordinary intellectual pioneer, not just because she was a female economist in an almost exclusively male field, but because she approached serious structural questions by starting from working people’s actual household budgets — an Elizabeth Warren of her day, but who of course could neither vote nor run for elected office. In any case, instead of making herself the reader’s tour guide to the slums, as so many of her fellow reformers did, she wrote herself into reform activism as a guest in the McAuleys’ world. She suggested that a middle-class person cannot have the eyes to see this world until he or she has undergone a personal conversion of the kind that facilitates such humility. She experienced the poor drunkards’ conversion testimonies as the inspiration for such change. She saw the McAuleys’ commitment to universal spiritual equality as a model for a genuinely democratic understanding of economic forces and their effects. The enlightened self-interest they taught her runs through and links the long traditions of recovery and social idealism in the 20th century, from these stories’ direct influence on William James all the way to the writings of Anne Lamott and David Foster Wallace. 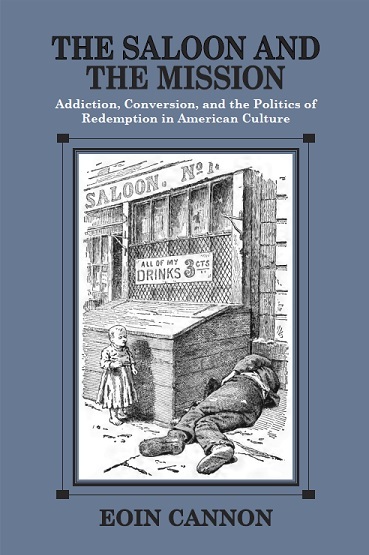 I would like to make up for my book’s neglect of the Washingtonians by learning more about their influence on the temperance societies and revival movements of the decades between their heyday and the rise of the rescue mission movement. How much, for example, did Washingtonian testimonial techniques, social contagion, and working-class mutual aid survive to influence the evangelical conversion testimonies around which the rescue missions were structured? I also would like to see a more thorough investigation of the relationship between evangelical culture and socialist conversion narrative. Did, for example, socialist conversion stories simply borrow Christian tropes to model change or were they more often products of millenarian Christians who saw socialism as the coming divine dispensation? And, finally, I would like to look more closely at recovery stories associated with radical movements, such as Malcolm X’s. In my book I associated “mainstream” sobriety movements with periods of socioeconomic reorganization — during which “dissolution” was a real danger for more people and in which people craved stories of redemption and reinvention. But radical movements have also often included foundational recovery stories and calls for sobriety, in ways that I think may have more to tell us about the deep connections between addiction and social relations. Nathan Lane, because he has recently played Hickey in Eugene O’Neill’s The Iceman Cometh. In a chapter of the book I detail this play’s excavation of the “culture of the saloon and the mission” and the way Hickey’s voice ranges across its different registers, from the hardboiled to the holy-roller.